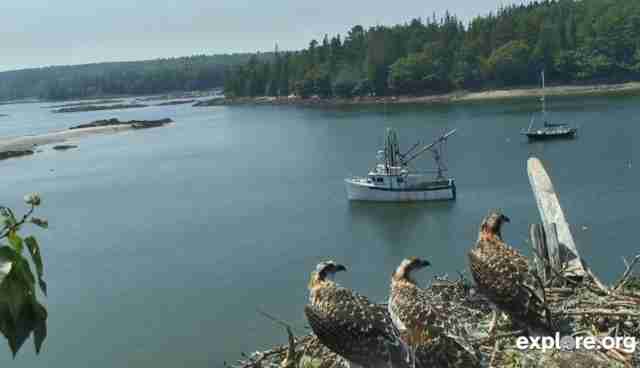 We have been watching the three Osprey chicks on our explore.org cam since they hatched on June 9th. After 7 weeks of much resting, eating (thanks to parents Steve and Rachel) and growing, the chicks are just about ready to fledge. Our cover photo by kg_cat shows one beautiful Osprey. Come early September, the chicks will begin their journey south through the Atlantic Flyway to winter in South America. 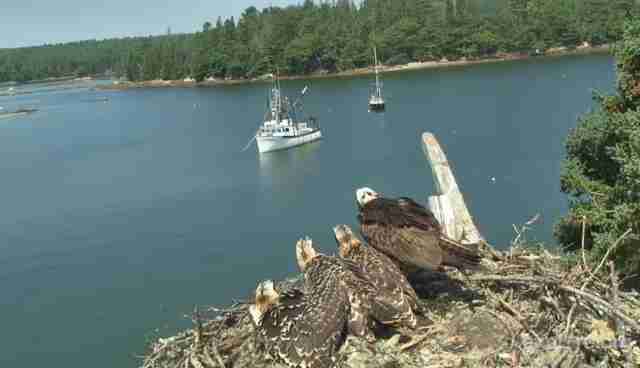 Don't forget to keep watching the chicks on explore.org as they begin their soaring adventures! 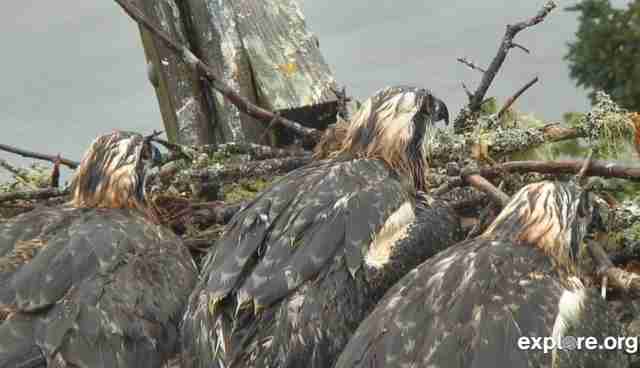 Look how big they have grown in this picture from Jan the Osprey Fan (we're a fan too Jan). 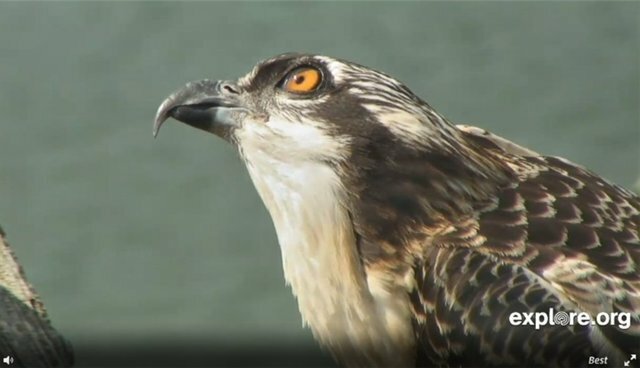 Boston Bean took this picture on our Osprey cam. Can you tell which is a chick? AndeeDawn from NC snapped this photo of the Osprey nest looking very crowded! 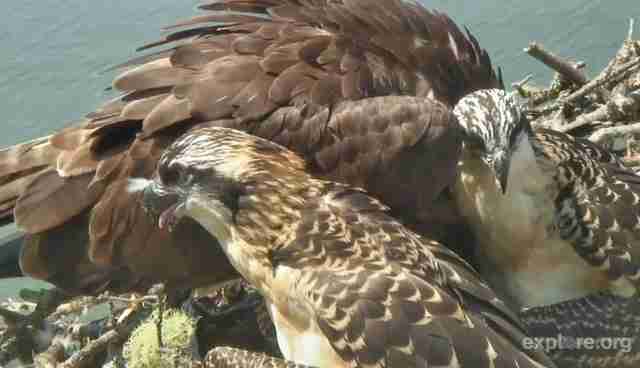 This photo taken by Samantha Eye shows the Osprey chicks up close. Aren't they beautiful birds?